When I tell people what I like to study, most smile and nod or change the subject. Others don’t beat around the bush and grimace with an “Eww, why?” The simple fact is that many people do not view vultures as glamorous subject matter. However, to me and many folks here at Hawk Mountain, they possess a plethora of attributes worth respecting. My intrigue with these birds began three years ago when I moved from my home in Washington State to Pennsylvania. I come from a coastal community in which the common ‘big bird’ to point out in the sky is the Bald Eagle, feasting on salmon runs and other fish in Puget Sound. When I arrived here, I was charmed to see that a new silhouette graced the sky in similar abundance – a large raptor that rocked back and forth as if indecisive about which way to fly. At the time, I could relate. I quickly cultivated a sense of joy in the turkey vulture’s passing shadow, and before long they became a nostalgic symbol of my time on the East coast. I was given an opportunity to expand on my appreciation for vultures as an educator at Shaver’s Creek Environmental Center, in central PA. In this role I often faced an audience partial to raptors with a cuter disposition, such as the owls, hawks, eagles, falcons, osprey…well essentially, everyone else. I took this disparity to heart, considering that the center housed two vultures; a turkey vulture who had been hit by a car and could no longer fly, as well as a black vulture who had recovered from lead poisoning but was still injured from a vehicle collision. I opted to try training the unreleasable vultures for use in educational programs during my time at Shaver’s Creek, in large part because my interactions with the public made it clear that they were unappreciated at best and villainized at worst. There is, however, one species of vulture in the United States that has achieved genuine fame. Of our three vultures, the California condor lives the most treacherous existence; after a brush with extinction in the 1980’s, a vigorous reintroduction program has kept the miraculous bird in the Southwestern skies. I spent three months researching this bird’s story, and it became clear to me that the condor’s rarity was a catalyst in sparking its public approval. I couldn’t help but be reminded of Rosalie Edge and her wise statement that “the time to save a species is while it’s still common,” and after learning how expensive and heartbreaking the condors’ story has been, I am convinced that it is in everyone’s best interest to avoid a similar situation with our turkey vultures and black vultures. As a spastically nomadic twenty-four-year-old, I am often asked “what do you want to do?” a question that I follow with a sigh. The truth is, I have flirted with many career paths, and those which have impassioned me most also present a seemingly lifelong battle. Conservation science and education, my most consistent choice, is a field filled with optimism and pessimism in varied amounts. 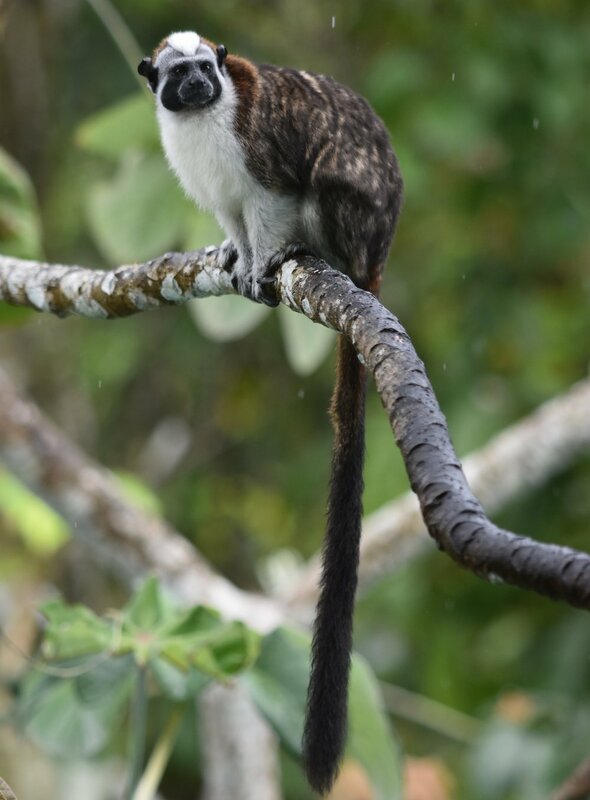 I have seen biologists deliver programs with an emphasis on the sheer beauty of a species, and then end with a long list of threats that may snuff them out entirely. There is nothing easy about that. I have seen conservationists elbow deep in advocacy and education, striving to keep a species from toppling off the edge of existence. There is nothing easy about that. These reflections have led me to seek out organizations that approach conservation with an interdisciplinary approach, working at an issue from multiple angles, and maintaining an attitude of innovation that targets a problem from the ground up. Hawk Mountain Sanctuary is such a place. I am here because the Sanctuary has opened its arms to vultures and made their acknowledgment a priority within local, national, and global communities. 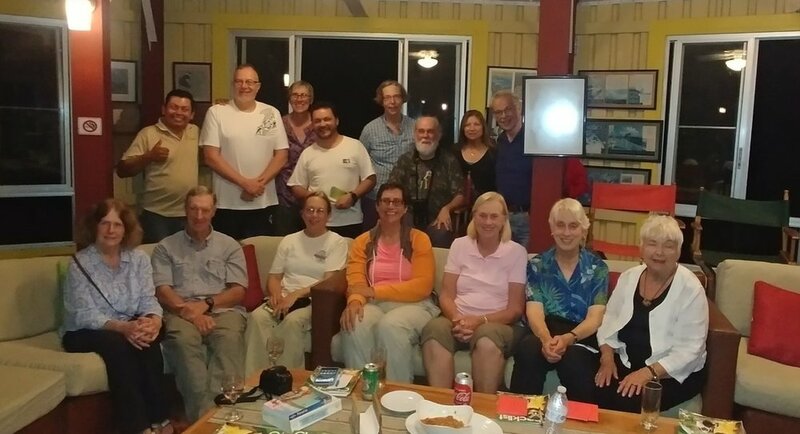 The Sanctuary reminds young professionals to listen to Rosalie Edge's words of caution, and I believe she would be very proud of Hawk Mountain’s work with common and ecologically significant vultures. I am writing curriculum about black vultures for our education department, with the hope of making vulture studies a convenient and desirable addition to classroom agendas in surrounding schools. Through this work I am becoming more inclined to see the glass half full, and have realized that conservation does not have to be defined by immediate success. Each project is colored with hardship, and in the end, that strife adds to our collective tool box as a conservation community. Even if we don’t save a species now, we can contribute some relief and security to some species. I am ready to do my part, and one day perhaps my rocky flight will level out to a persistent soar as I join the thermal of conservation that is traveling upward, exactly as it should. * Zoey's recently developed black vulture curricula with another on the broad-winged hawk was created with support from the Pennsylvania Wild Resources Conservation Program and other donors. I saw my first Turkey Vultures in March 2011 when driving from the Newark airport to Hawk Mountain. I had been invited by Keith Bildstein to work on a paper about raptor migration along the Black Sea coast of the Republic of Georgia. It was my first visit to the USA, and during the weekends of that spring I frequently marveled at the Turkey Vultures soaring through the Kempton valley. Little did I know that I would come back to Hawk Mountain to study Turkey Vulture migration six years later. It's been about 7 weeks since I arrived, and one of the most exciting things I've been able to study here so far is undoubtedly the life-history of David. David was part of a family of four Turkey Vultures (2 chicks and their parents) to be tagged in an old farmhouse in Saskatchewan in 2013. Out of four Turkey Vultures that have been tagged as fledglings in Saskatchewan, David was the only one ever to reach adulthood, allowing us to map the entire life-history of a Turkey Vulture from fledging until adulthood the first time. Movements by Turkey Vulture "David" in Saskatchewan (Canada) after fledging the nest in 2013 (red star) until establishing a small home range in summer 2016. Dotted tracks indicate movements after August 1 and full tracks indicate movements before August 1 each year. After leaving the nest (red star) David did not spend any time exploring the surrounding area. Instead, the first time he left the immediate surroundings of the farmhouse was when he departed on his first outbound migration (red track). Although he did not migrate with his parents, he left around the same time as other Turkey Vultures breeding in Saskatchewan and found his way to Central America. He then returned to Canada in spring 2014 and spent most of the summer making extensive exploratory movements without settling in a clearly defined area (brown track). In August that year, David passed within a few miles of the farmhouse where he hatched the year before. His mother had died during spring migration but his father was breeding again in 2014. David, however, did not visit his natal site and spent a few days along the river 20km SW of the farmhouse before initiating his 2nd outbound migration (dotted brown track). When David returned in 2015 he quickly settled in an area approx. 240km ESE of his natal site. 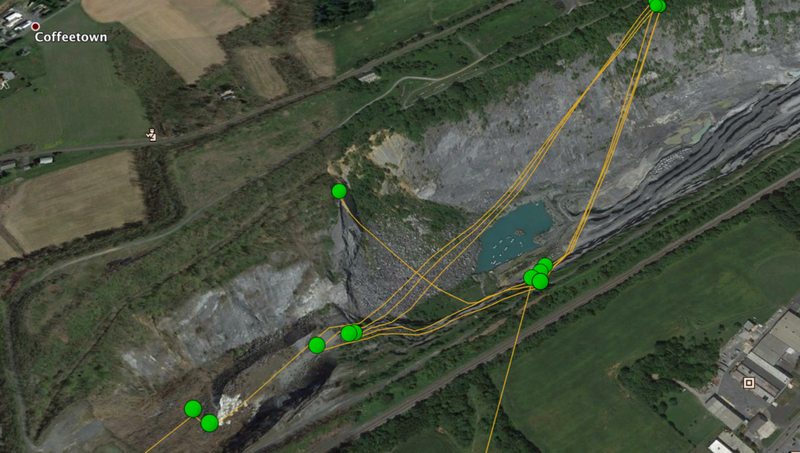 He made some long exploratory movements in early summer but spent most of the summer in the same area (orange track). In 2016 David then returned directly to the same area and spent the entire summer there (yellow track). David's movements suggest he was breeding for the first time in 2016. Unfortunately this could not be confirmed in the field, but David is still alive and transmitting today. We cross our fingers for his safe return to Saskatchewan this year, so that local birders can try to connect with this bird in the field and confirm his breeding status. 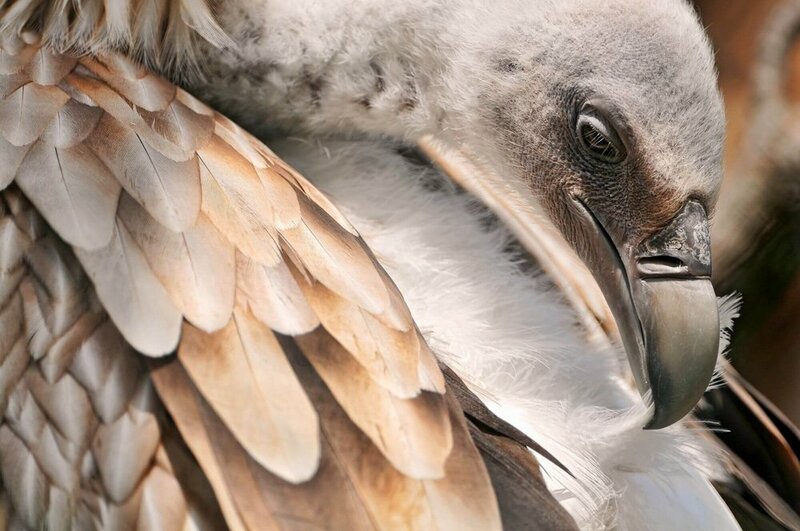 David is one of a few wild vultures in the world for which the entire life-history could be recorded by satellite-tracking. As such many open questions remain, not in the least regarding what factors drive the decision of individual birds to settle in one area rather than another. 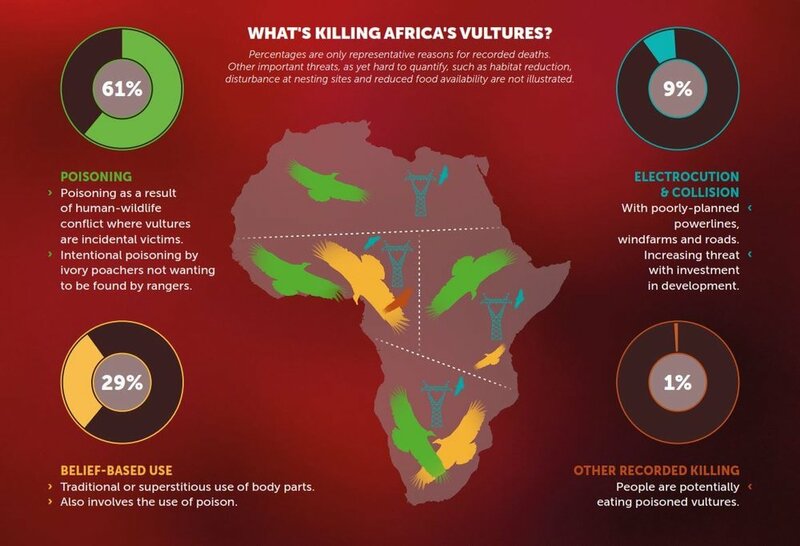 These questions can only be answered by satellite-tracking many more vultures throughout their entire lives, and connecting with these birds in the field across the entire flyway as frequently as possible. I hope Hawk Mountain will be able to track many more juvenile vultures in the year to come, and wouldn't mind to come back another year to help with analysing the data. You can follow Wouter at @WMVGs on twitter to keep up with his latest finds.